Yes, the rumors are true. 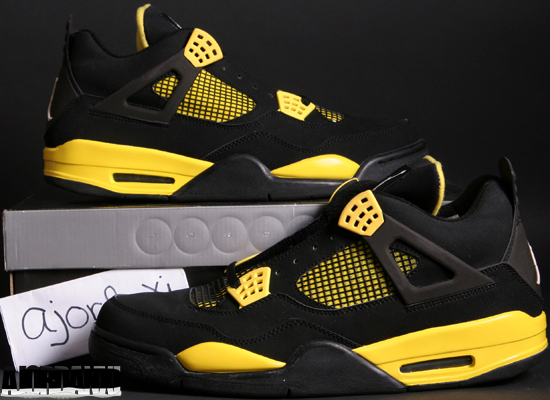 The online exclusive release of 2006 known as the "Thunder's" will be re-released. Click here to grab a pair on eBay. Originally a part of the "Thunder & Lightning" Pack, these were an online exclusive release via Jumpman23.com to registered Team Jordan members at the time. Members received an email with an exclusive link and time stating when they could purchase these ultra rare packs. Retail on these was $500, and they came with a matching jacket. 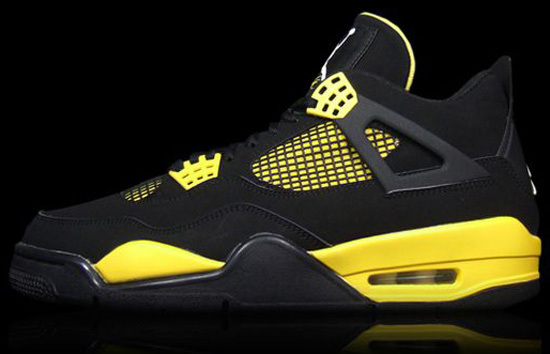 Now, six years later this sought after Air Jordan IV Retro will be returning. Update: The Air Jordan 4 Retro "Thunder" has been pushed back from its original November 17th release and will now be released on December 22nd. While a release date and availability have yet to be announced, it's looking like these will be released sometime this holiday season like in November or December. Even though they are not going to be an online exclusive again, they are said to be very limited when they are re-retroed in a few months. Once I find out official information, I will pass it along. For now, enjoy this teaser pic below and, a bonus pic of my 2006 Retro. If you're looking for a pair now, click here to grab them on eBay.